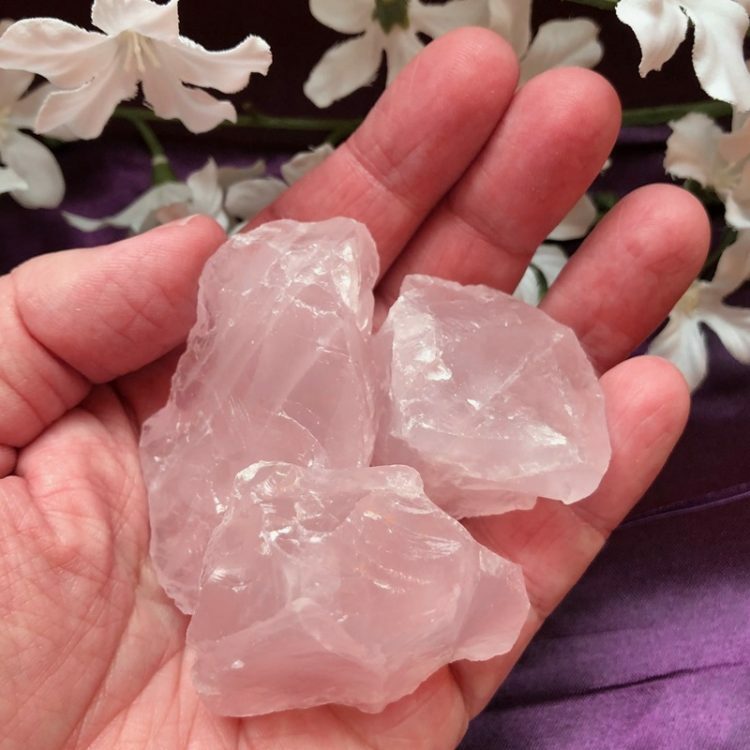 These are AAA quality “gemmy” raw Rose Quartz from Madagascar. 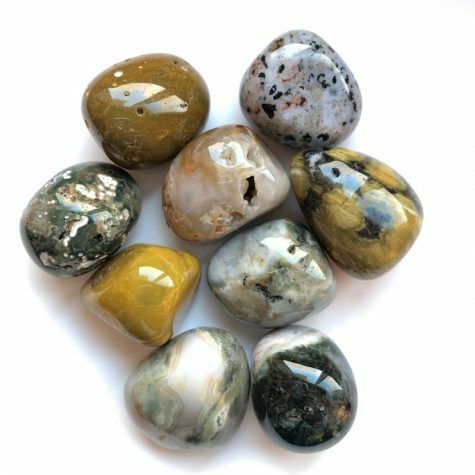 They’re unpolished, in their natural state, and wonderful pieces for holding during meditation. 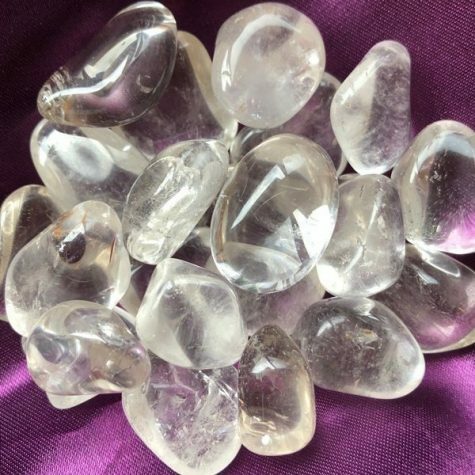 Rose Quartz energy is all about Pure Divine Love. 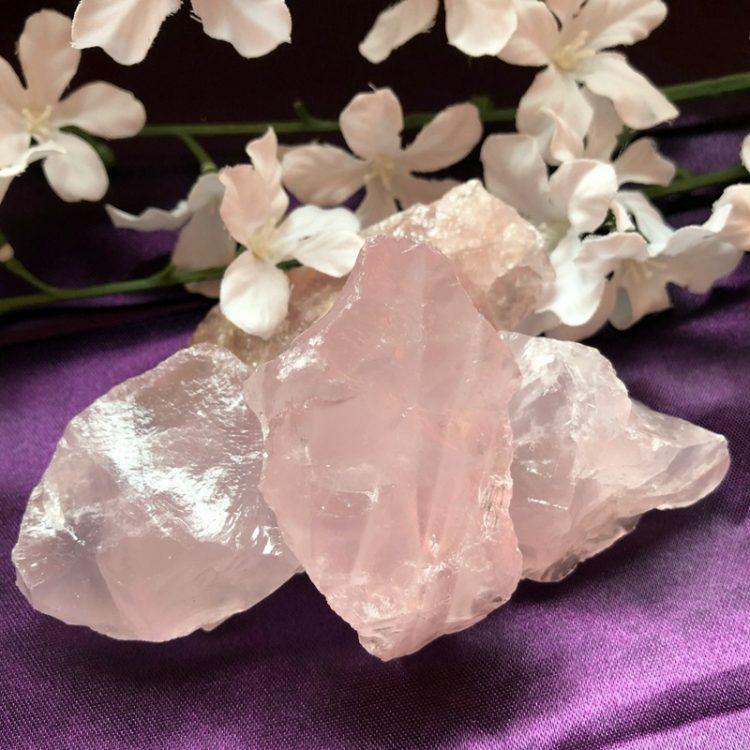 It reminds us to return to our spirits and find miracles in every day living and to learn new possibilities and new ways of being on the Earth. 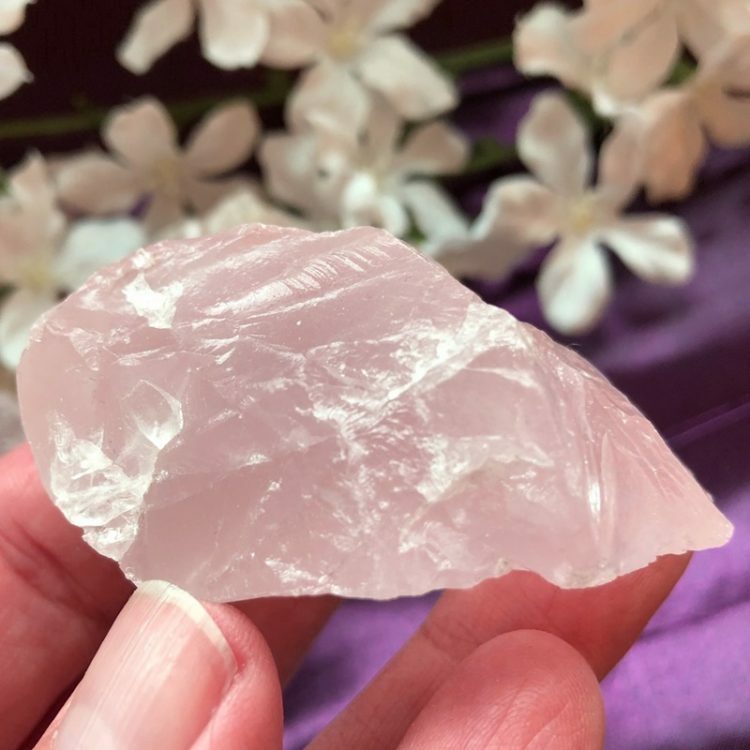 Rose Quartz is here to open us to self-forgiveness, self-love, and divine compassion. 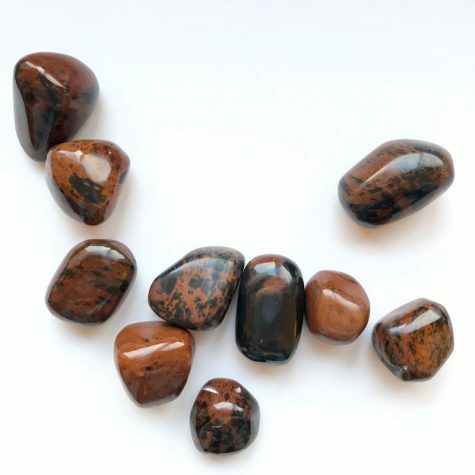 This is a wonderful stone for acceptance and seeing beauty in the world. Range in size from 3/4″ to 1 1/2″ in size.